Supreme Convenience. 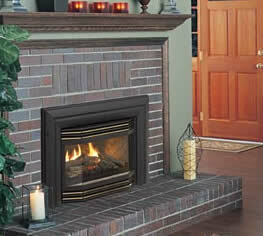 This popular gas insert provides 15,000 - 30,000 BTU to efficiently heat a medium sized room. There are so many ways to change the look of your Energy Gas Insert. Choose your faceplate, louvers, doors and brick panels from a list of Regency options. Whatever style you choose, Regency quality and the exceptional fire will be a welcome addition to your home.